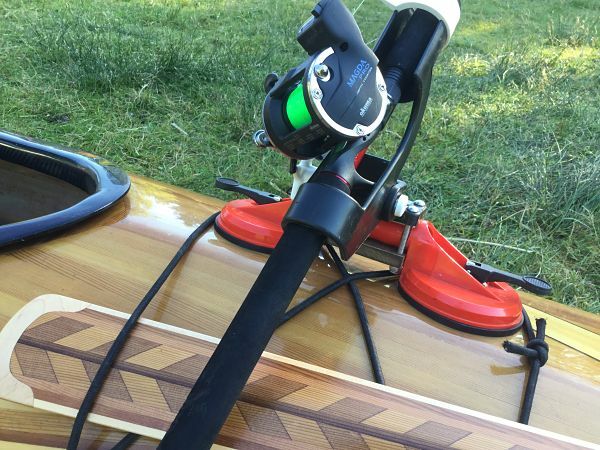 NorthPoint Paddles - Greenland Paddles: A Fun Way to Use a Greenland Storm Paddle…Kayak Fishing! 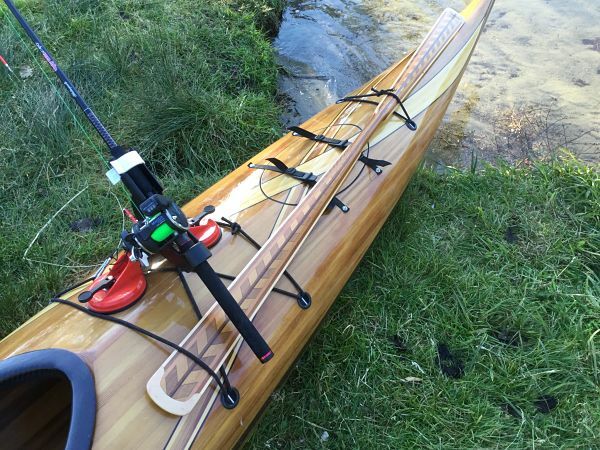 A Fun Way to Use a Greenland Storm Paddle…Kayak Fishing! I don’t know about you, but I love to fish and I love to kayak. And the fact that I don’t own a fishing kayak hasn’t stopped me. Instead, I’ve learned how to “convert” my wood-strip kayak into a fishing kayak at a moment’s notice. I’m having so much fun with it that I just had to share. Here are a few tips I’ve learned along the way…hope they will help you, too! 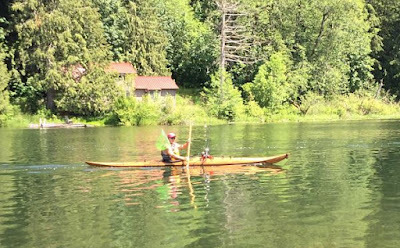 What to do with your fishing pole while trolling and paddling? You only have so many hands, right? Well, I really didn’t want to drill holes into my kayak for the pole holder, so I found a chat site where someone came up with using a double-suction cup from Harbor Freight for around $8.00. Brilliant idea! It works awesome! In fact, the suction is so strong that I can lift my 42lb kayak with it! Now, which paddle to use for trolling? Hmmm…the storm paddle, of course! Why? Because the shorter length doesn’t interfere with my fishing gear. 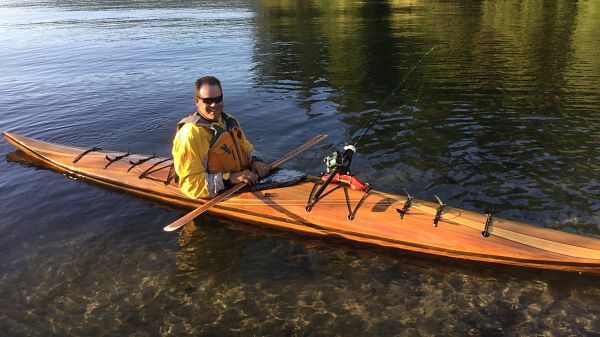 It works so well that it has become my go-to kayak paddle for fishing. Wondering where to stow your fishing net and still have it handy when that fish strikes? I tuck mine inside of my PFD. It’s not in my way when paddling and its right there to grab and scoop up my catch. 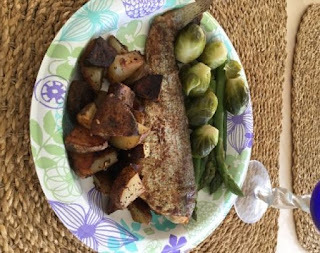 OK, now the big question…Am I catching any fish? YES! And there’s nothing like a fresh fish dinner! Want to know more, feel free to email me at northpointpaddles@gmail.com.